In this webinar, which is now available for download below, HeyStaks CEO, Dr. Maurice Coyle, tackles a major issue facing mobile operators and service providers today. With the need to invest in the newest and fastest network infrastructure to support new standards such as LTE, ways to derive revenues from these investments must be found. This is made all the more urgent given the fact that traditional voice and messaging revenues are being cannibalised by over-the-top providers like WhatsApp and Skype, who are using the operators’ data utility to do it. Maurice outlines the many pressures that mobile operators and service providers face today, and how the existential threat posed by the rise of over-the-top providers can be mitigated. 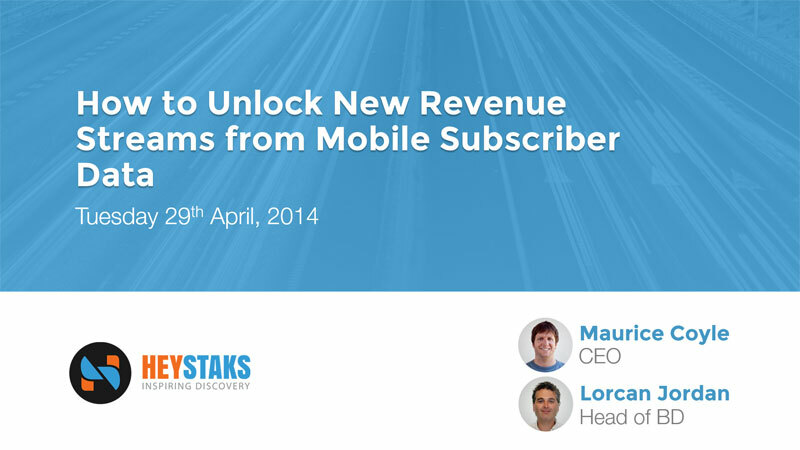 Core to the message of this webinar is that there are rich sources of revenue locked in the data usage patterns of mobile subscribers and with the advent of big data analytics platforms and technology, there are ways for operators to tap into that revenue. Some of these opportunities are discussed, including how a subscriber’s intent is expressed through their search activity, and how this is a valuable asset in understanding the needs and wants of your customer. Our resources section is filled with valuable content which you can download and use for free, including Whitepapers, Webinars, Product sheets and Guides.